Cute little Ash is a 4-month-old kitten in desperate need of a good home. Sometimes a tad shy, she enjoys the simple things in life: a warm seat by a window, someone to pet her and the possibility of some tasty treats. 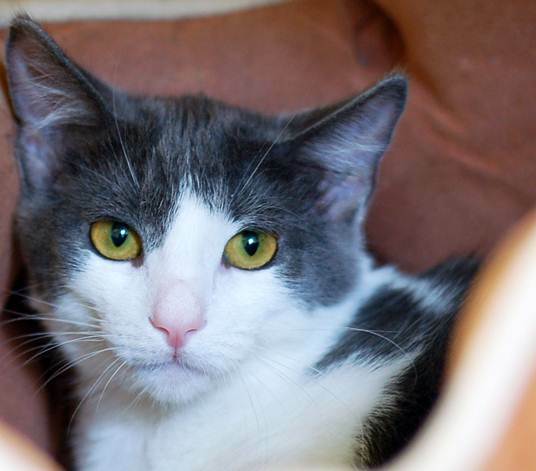 Ash would do best in a quiet household with someone who is looking for a low-key kitty companion. If you would like to know more about Ash, please call the San Clemente-Dana Point Animal Shelter at 949.492.1617, or visit with her at the shelter, 221 Avenida Fabricante in San Clemente.